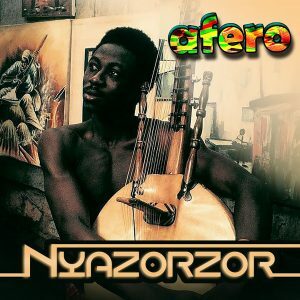 As a child Afero and his brothers used to sing while carrying water from the river side in a small village in Ghana. His grandfather was a pastor so he had the opportunity to join the church choir and later form his own group and perform every Sunday. 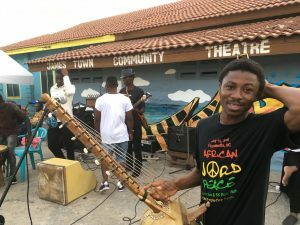 When he moved to Accra and found talented musicians there, he decided to focus only in music and established Zinetor Band. He preaches positivity and unity in his music. 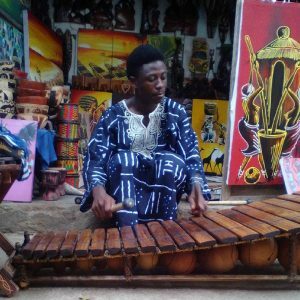 Spirit of music always pushed him to try new things and learn new instruments. 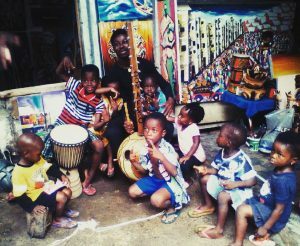 That made him a true multi-instrumentalist and now he plays guitar, bass guitar, kora, goje, ngoni, xylophone, talking drum and African percussion. He also wants to invent his own instrument, future will tell if he will succeed in this dream.